A jury found a former day-care provider guilty of murdering a 9-month-old for the second time. News4's Jackie Bensen reports the baby's death became part of an international debate over the diagnosis of "Shaken Baby Syndrome." A former day-care provider in Maryland's Eastern Shore is going back to prison after a jury found her guilty of murder in the death of a 9-month-old boy for the second time. Gail Pinder Dobson, 59, was convicted Thursday of second-degree murder in the 2009 death of Trevor Ulrich. Sept. 2, 2009 was Trevor's second day in day-care. "He was smiling, happy, chubby cheeks, bright blue eyes. He had no health problems," Trevor's mother, Kelly Ulrich, said. Dobson had provided licensed daycare in her Trappe, Maryland, home for decades. Police were called to Dobson's home after she said the infant was having trouble breathing. He died the next day at Children's Hospital in Washington. Trevor had contusions on his scalp and bleeding on the surface of his swollen brain, the Washington Post reported. In 2010, Dobson was convicted of second-degree murder in Trevor's death. She was granted a new trial after a judge ruled her lawyer provided ineffective assistance. Trevor's death became part of an international debate over the diagnosis of "Shaken Baby Syndrome." Doctors of the prosecution argued he was a victim of Shaken Baby Syndrome, in which a child has swelling of the brain, bleeding on the surface of the brain and bleeding in the back of the eyes. However, two doctors working on Dobson’s appeal argued that the scientific testimony used against her was fundamentally flawed, the Post reported. "Testing has been unable to show whether violent shaking can produce the bleeding and swelling long attributed to the diagnosis, and doctors have found that accidents and diseases can trigger identical conditions in babies," Post reporter Debbie Cenziper wrote. 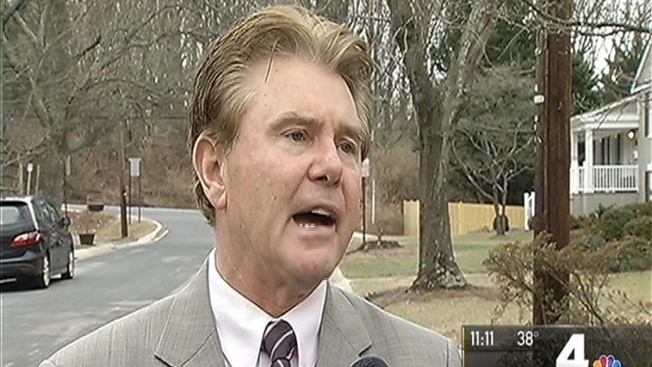 But Montgomery County State's Attorney John McCarthy told News4 the defense was citing "junk science." "The same experts that supposedly should have been called in the first trial were not even allowed to testify in this last trial because they did not meet the legal standard," Montgomery County State's Attorney John McCarthy told News4. Due to a conflict of interest, Dobson's retrial was moved to Kent County and prosecution was given to Montgomery County. Dobson was sentenced to 20 years in prison on Friday. "When I think of the force that she had to use to inflict the injuries to his head and brain and - to my son, she was a monster, absolutely," Kelly Ulrich said. The Ulrichs now have another child, who is 3, but they say not a day goes by when they don't think about Trevor.